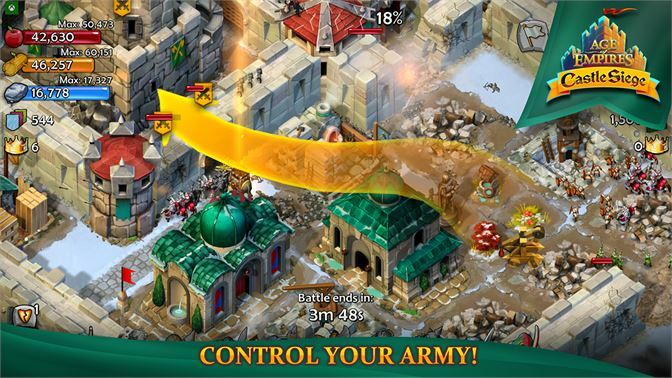 DescriptionAge of Empires: Castle Siege is a free-to-play medieval massively multiplayer online tower defense game in the form of a Windows app, designed for Windows 8.1 and Windows Phone. 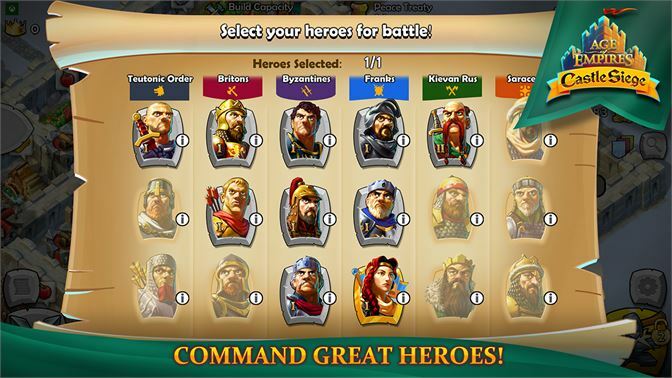 AGE OF EMPIRES: CASTLE SIEGE: Choose from one of several civilizations, including the Britons, Teutons, and Kievan Rus. Upgrade your keep, fortify your walls, and garrison defensive troops to protect yourself from marauders. Publisher: Smoking Gun Interactive Inc.